Nanning is regarded as Green City, and is famous for its exotic landscape, breathtaking natural scenery, and non-stop culinary adventures. 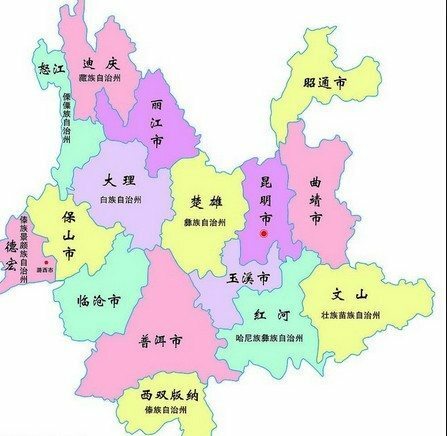 As the capital city of Guangxi Zhuang Autonomous Region, Nanning is the political, economic and cultural center of this region. Like many provincial capitals in China, Nanning is a bustling city with more than a few sightseeing spots, like impressive Detian Scenic Spot, famous Guangxi Ethnic Relics Centers, stunning Nanhu Lake Park, magnificent Mt. Qingxiu and more. These are all the reasons why so many travelers want to pay a visit to Nanning. Contact one of our travel agents to find the China travel package that’s best for you, or create your own China itinerary! Nanning, as a famous ancient city in China, does have much to offer for travelers and attracts tens of thousands of travelers every year. 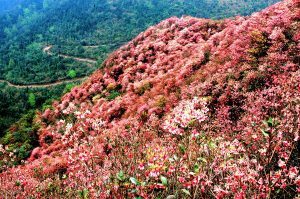 The optimal time to visit Nanning is from the end of October to the beginning of November. Every year at this time, the annual tourist festivals like International Folk Art Festival are held, which is an exceptionally unique experience for travelers. Every year at this time, Nanning transforms into a sea of beautiful songs, elegant dances and graceful melodies,brimming with a joyful atmosphere. Nanning is blessed with much tourist resource, which appeals numerous travelers to pay a visit to discover its charm all year round. Nanning attractions offer the most popular Nanning sightseeing spots along a perfect Nanning travel, such as the majestic Detian Waterfall, captivating Qingxiu Mountain Scenic Spot, time-honored Yangmei Ancient Town, stunning Peoples Park, and impressive Daming Mountain and the like. 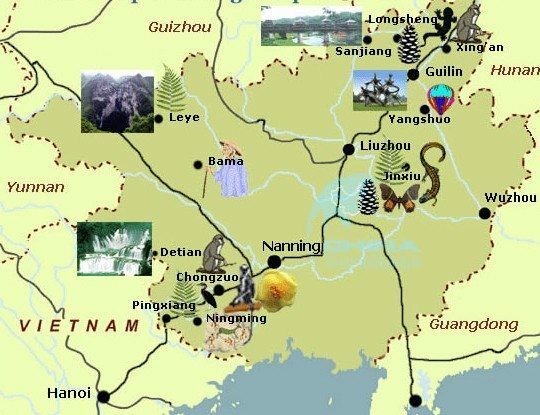 These Nanning attractions are all must-sees along your Nanning travel, which are all arranged along our Nanning tours. 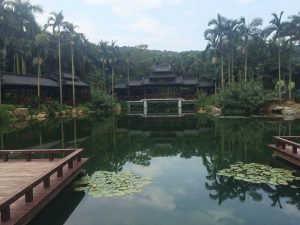 Your Nannning travel is incomplete if these must-visit tourist attractions in Nanning are missed. Click for details about these must-have attractions in Nanning. Nanning, an ancient city perched in the southwestern region of China, has much to offer those in search of an unforgettable meal. Nanning does have much to offer for gastronomers, while among the numerous Nanning food, old friend rice-made noodles, vinegary food and specially-prepared porridge are the most famous and are not to be missed. Old-friend rice noodles is the most famous local food in Nanning, enjoying hundreds of years of history; distinctive in flavor, strong in seasonings and savory in taste. The main ingredients in the old-friend rice-made noodles are rice-made noodles, bamboo shoots, pepper, and sauced beans, giving off a spicy and vinegary flavor. The best places to eat Nanning Old Friend Rice-made noodles are Fuji Rice-made Noodle Restaurant and Shuji Rice-made Noodle Restaurant. As an old saying in Nannning goes, no trip to Nanning is perfect if it misses out on tasting the vinegar-pickled food in Nanning. 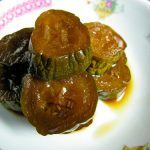 In Nanning, most vegetables are pickled, which is just like the fermented Toufu in Hunnan. 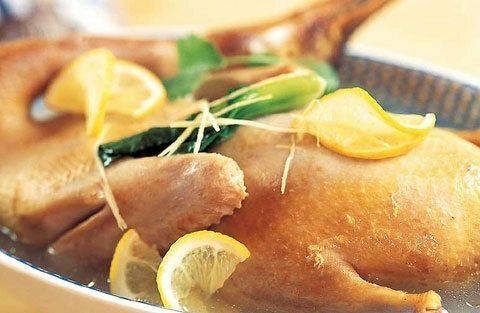 Lemon Duck is a local specialty popular in the Wuming County area in Nanning. 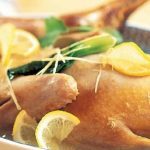 Cut the duck meat into pieces, stir-fry them for 6 minutes, and add the sliced pepper, vinegar lemon, ginger, garlic to simmer for several minutes. Then add the sauced beans and cooked for a while. Nanning, as a popular tourist city in China, also has much to offer for those looking to do some shopping. Don’t miss out on your opportunity to take home some thoroughly unique souvenirs such as gorgeous Zhuang brocades, delicate carpets, exquisite embroidered ball and local-famous Luohan fruit! 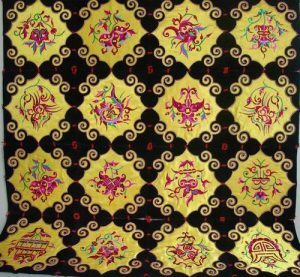 Brocade of Zhuang Minority (Zhuang Brocade) is a much desired and delicate handicraft in Nanning, which is as famous as Xiang Brocades in the Hunan region and Shu Brocades in Sichuan. 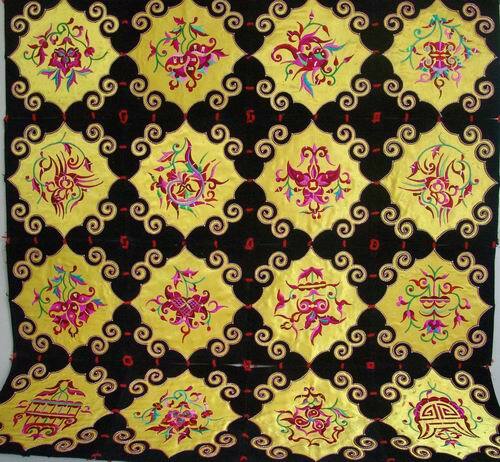 A Zhuang Brocade is characterized by its exquisite design, colorful threads, novel patterns, and sophisticated skills. 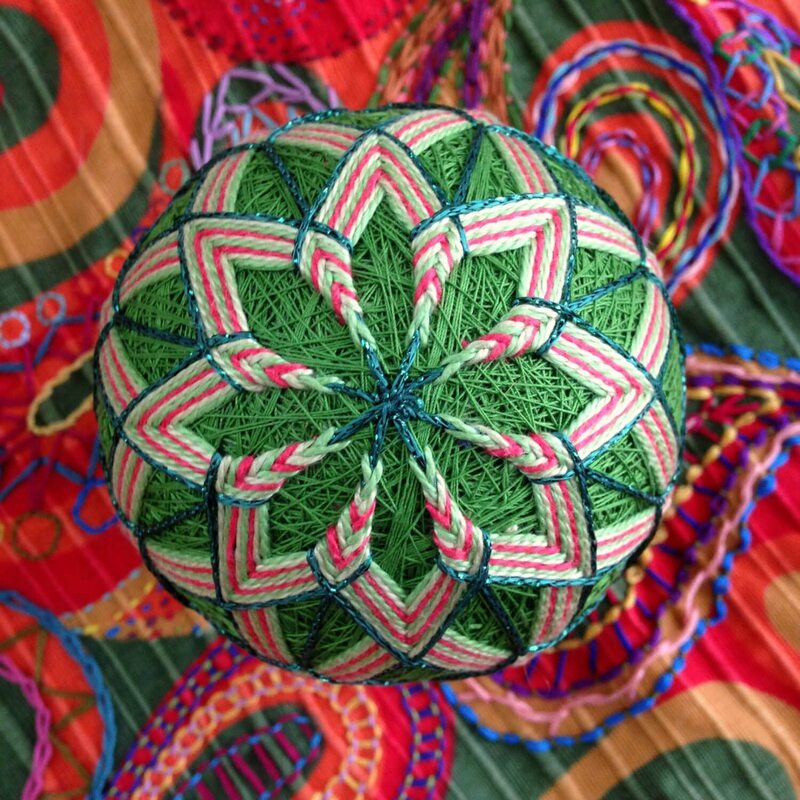 The Embroidered ball is originally the symbolic love token between young men and women among the Zhuang autonomous region of China in ancient times. The delicate embroidered ball is made of colorful silk strips and stuffed with beans or sand, 6cm in diameter and 150g in weight. The ball is tied to a colorful flying strip, 60cm in length and 1cm in width. In ancient times, when young girls selected their beloved, they would often throw the embroidered ball to the young men crowd, and the one who caught the ball would become the beloved of the girl. Now, the embroidered ball becomes a popular souvenir in the Guangxi regions for tourists, and it usually costs about 5RMB for one. 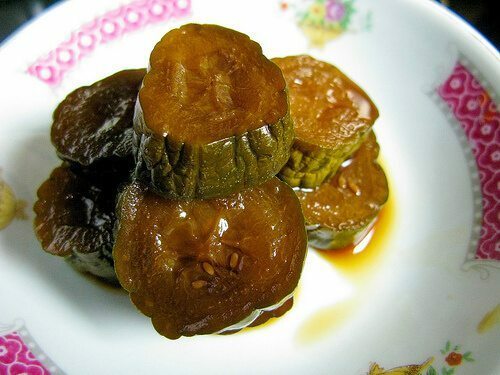 Luohan fruit is a local popular medicine in Nanjing, which has the ability to ease coughs, fevers and headaches. Luohan fruit can be purchased in local Chinese medicine stores and vegetable markets. 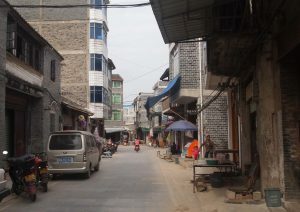 Shopping areas in Nanning are mainly focused on Chaoyang Road, Xingning Street, Xinmin Road and Qixing Road, where numerous stores of different varieties are densely packed. Whatever you want to buy, these areas have something for you. Xiguan Road is the most boisterous outdoor night fair in Nanning, where countless goods and daily essentials are showcased and available for sale. This night fair is open from 18:00 to 22:00.